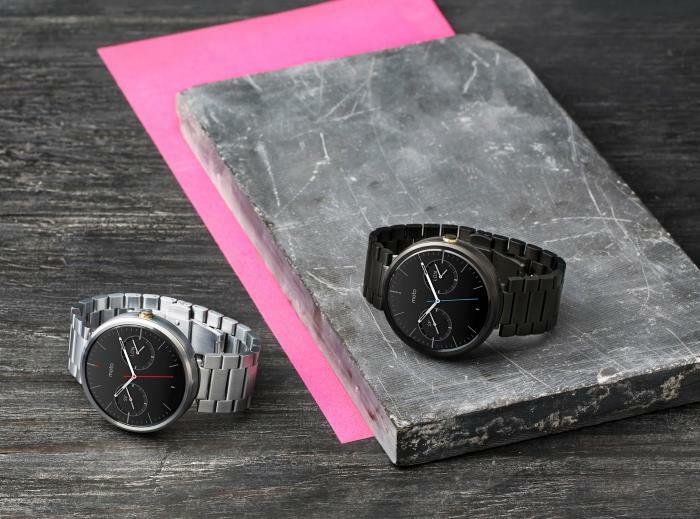 Motorola has started selling the Moto 360 with light and dark metal bands in India for INR 19,999 (almost $314). The wearable device is currently available in dark and light metal bands, and is one of the most expensive smartwatches in the country. The normal version of the smartwatch with a leather band is still available, and costs INR 17,999 (almost $282). But, it seems a little unusual because Motorola has reduced the price of the Moto 360 in the US to $165, which is pretty attractive when you consider the feature set and looks the Moto 360 has to offer. There’s a possibility that the price effect may take place in other markets as well. The smartwatch features a 1.56-inch display powered by a TI OMAP 3 processor paired with 512MB of RAM and 4GB of internal storage. There’s a 320 mAh battery with Qi wireless charging capabilities, which can offer users with a full day battery life on average use. The Moto 360 ships with Android Wear as its operating system, and has received the latest Android Wear update which brings a handful of new features and improvements for the smartwatch. Anyone interested in picking up the Moto 360 in India? Sound off in the comments below.